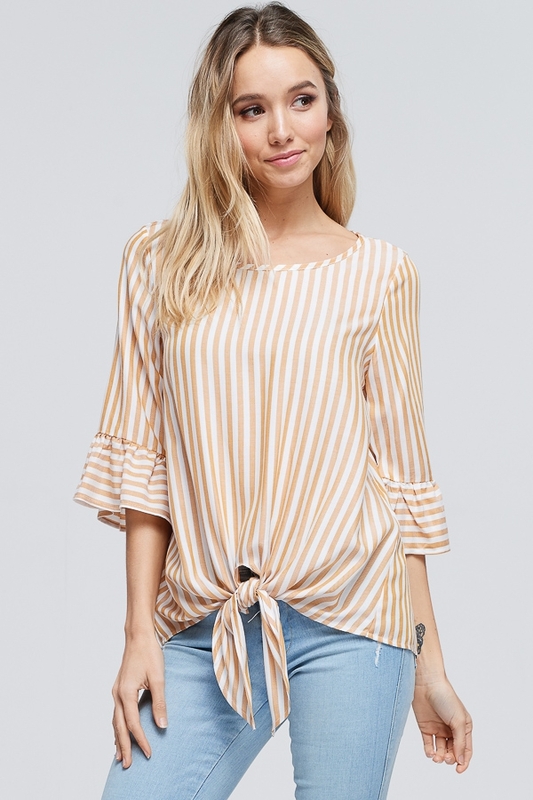 A striped woven top with a round neck featuring ruffle sleeves and a front self tie knot. Fabric is soft and comfortable. Model is 5`8" and is wearing a size small.